Rae Dawn Chong was born on the 28th February 1961, in Edmonton, Alberta Canada, and is a Canadian-American actress. Apart from being Tommy Chong’s daughter, she is best known for several of her appearances in “Quest for Fire” (1981), “Commando” (1985), “The Color Purple” (1985), “Tales from the Darkside: The Movie” (1990) and “Jeff, Who Lives at Home” (2011). Have you ever wondered how much wealth this Genie Award winning actress has accumulated so far? How rich Rae Dawn Chong is? According to sources, it is estimated that the total amount of Rae Dawn Chong’s net worth, as of mid-2016, is $4 million. It has been acquired throughout her acting career which has been active since 1974. Rae Dawn Chong was born the first child into a family of Afro-Canadian, Cherokee, Scotch-Irish and Chinese descent, to Maxine Sneed and Tommy Chong, an actor and comedian famous as a part of the iconic comic duo, Cheech & Chong as well as for his role of Leo in “That ’70s Show”. Besides Rae, her sister Robbi and half-brother Marcus Chong are also noted actors. The official beginning of Rae Dawn Chong’s acting career was in 1974 when she debuted on small screens in the role of Greta in “The Whiz Kid and the Mystery at Riverton” TV movie. Her first big screen appearance happened in 1978, when she was cast as Janetta in Andrew Davis’ musical drama about the only white kid in the neighborhood – “Stony Island”. However, Rae Dawn’s real career breakthrough came in 1981, when she was cast for the role of Ika in “Quest for Fire”. Jean-Jacques Annaud’s prehistoric drama pictures the prehistoric tribesmen’s quest for finding the new source of fire and was rewarded with an Academy Awards as well as BAFTA Film Award for the Best Makeup. Besides this, Rae Dawn was honored with a Genie Award for Best Performance by an Actress in a Leading Role. The latter achievement certainly helped young Rae Dawn Chong to establish herself in the acting world, as well as to add a respectable sum to her overall net worth. 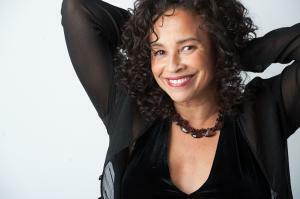 In the course of the following years, Rae Dawn Chong managed to maintain a continuous streak of successful acting projects, including appearances in several Hollywood blockbusters such as “Choose Me” and “Beat Street” both in 1984. She also appeared in the 1985 action thriller “Commando”, opposite Arnold Schwarzenegger in the leading role. Later that year, the audience got the chance to watch Rae Dawn in one of Steven Spielberg‘s masterpieces, five-time Academy Award nominee – “The Color Purple”. Doubtlessly, all these accomplishments dramatically contributed to Rae Dawn Chong’s overall net worth. The 1990s and 2000s represent the most active years of Rae Dawn Chong’s acting career, with over 60 roles in movies and TV series. Some of her most recent acting projects include the 2014 comedy “Knock ’em Dead”, and the role of Patty Donner in the 2016 TV series “Better Things”. When it comes to her personal life, Rae Dawn Chong has married three times. From the first marriage, with Owen Baylis’ she has one child before divorce in 1982. Between 1989 and 1990, Rae was married to C. Thomas Howell, her “Soul Man” (1986) colleague and co-star, with whom she has another child. Since 2011, she has been married to Nathan Ulrich. Apart from acting, Rae Dawn Chong has been active in various charity causes, such as Habitat for Humanity and Byron Katie’s The Work. 1 Whoopi Goldberg is a blazing trail for black women - for just black anything to be successful. Still, I often ask myself if I have to be a 30-year-old ex-junkie who lived in Berkeley and did stand-up comedy in Germany, before I can get some respect. 2 I have a good mind but I don't like to bore anyone with it. 3 Unattractive people are more obsessed with looks. 2 Mentioned in the Alice In Chains song "Love Song". 3 An active volunteer for many charities, strongly supporting Habitat for Humanity and Byron Katie's work with inmates in prisons. 4 Discovered Chris Pratt (who starred on the WB's Everwood (2002)) while he was a waiter at a restaurant in Hawaii where she was eating dinner one evening. 5 Has a son, Morgan. 6 Rae's paternal grandfather, Stanley Chong, was Chinese, and Rae's paternal grandmother, Lorna Jean Gilchrist, was of Scots-Irish descent. Rae's maternal grandparents, Napoleon Sneed and Willa Carothers, were both the children of African-American immigrants to Canada (their families were from the American South). 7 Subject of Stephen Lynch's song, RDC (Opie's Lament). 9 Siblings (half/full): Robbi Chong, Marcus Chong, Paris Chong, Gilbran Chong. 10 Was going to play Willis's girlfriend on Diff'rent Strokes (1978), but producers thought that she wasn't ethnic looking enough and cast Janet Jackson instead. 11 Sister of Robbi Chong. 12 Daughter of Tommy Chong and Maxine Sneed. When the Party's Over 1993 M.J. Soul Man 1986 "Black Girls" / performer: "Black Girls"
Stony Island 1978 lyrics: "Chi-Town" / music: "Chi-Town"